Antigua and Barbuda’s Citizenship by Investment Program (CIP) is the latest program of this kind in the Caribbean. 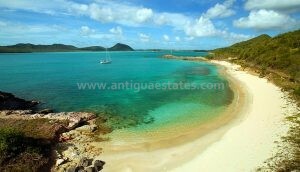 It was established following parliamentary assent to the Antigua and Barbuda Citizenship by Investment Act, 2013. The Regulations regarding Citizenship by Investment in Antigua and Barbuda are contained in Section 6 of the Citizenship by Investment Act, 2013. The CIP requires a person to make a significant economic contribution to the country. In exchange, and subject to stringent application procedures, including thorough background checks, the applicants and their families are granted citizenship. Families including spouse, dependent children under the age of 20 years, parents and grandparents over 58 years may qualify for citizenship through the submission of one simultaneous application. 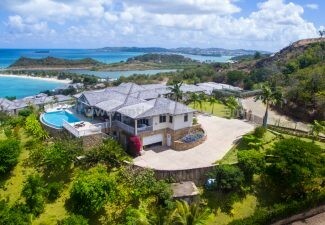 Considered one of the premier Caribbean destinations, the twin island state of Antigua and Barbuda harmonizes traditional Caribbean charm with first world services. Known for its 365 pristine beaches and secluded stretches of frilled coastline, the island enjoys cutting edge financial services and advanced communications infrastructure that sets it apart from other destinations that offer similar Citizenship by Investment services. 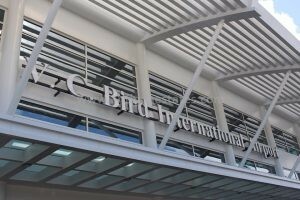 Located in the Eastern Caribbean chain of islands that form part of the West Indies, Antigua and Barbuda’s V.C Bird International Airport is a hub for international flights that arrive daily and direct from the United Kingdom, United States and Canada, servicing onward travel to the smaller islands in the region. Politically and economically stable and with a low crime rate, Antigua and Barbuda benefits from a fixed exchange rate with the US dollar (1 USD = 2.7 XCD) and English as its official language. While tourism is the key driver of the economy which employs a significant number of the 100,000 strong population, there is also a large expatriate community based primarily around the main yachting centres of English Harbour, Falmouth Harbour and Jolly Harbour attracting an international community year round. International home owners include Eric Clapton, Ken Follett, Dolce & Gabana, Timothy Dalton and Georgio Armani and a number of developments cater specifically to the needs of their international clientele. 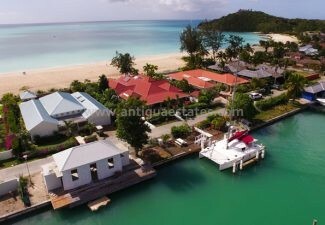 Antigua and Barbuda is a member of the United Nations, the British Commonwealth, Caricom and the Organisation of American States (OAS) among many other international organizations, offering certain advantages for someone looking to find a second residence in the world. Holders of the Antigua and Barbuda passport enjoy visa-free travel to approximately 130 countries, including the UK, Canada and the countries of the Schengen area. 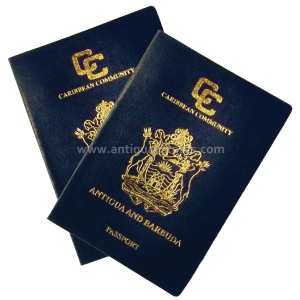 Furthermore, as a citizen of Antigua and Barbuda you are able to hold dual nationality. In a world where geopolitical tensions run high, US and EU passport holders also stand to gain from holding a second passport firstly in order to gain entry to countries where their nationality may be subject to scrutiny or secondly to be able to escape a potential life threatening situation such as a terrorist activity where holding a second passport and citizenship of a small and comparatively insignificant country could save one’s life. For those looking to resettle with a family, it will be important to note that since the country’s Independence on 1st November 1981, Antigua and Barbuda’s educational system has developed significantly and now provides a good standard of education to all residents. There are a lot of public and private schools and institutions that offer tuition and a balanced education to all ages including private universities and vocational institutes for the development of professionals in various areas including tourism and medicine. 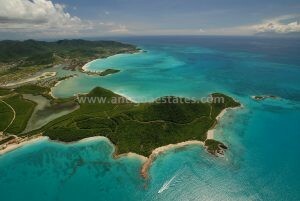 Antigua and Barbuda is a constitutional monarchy with a British style parliamentary system of government. The appointed Governor General represents the Queen as the Head of State. The judiciary consists of the Magistrate’s Court for minor offenses and the High Court for major offenses. To proceed beyond the High Court, a case must pass to the Eastern Caribbean States Supreme Court, whose members are appointed by the Organisation of Eastern Caribbean States (OECS). The Judicial Committee of the Privy Council, located in London, stands as the final court of appeal for Antigua and Barbuda, however, the Caribbean Court of Justice (CCJ) is the proposed regional judicial tribunal to be established by the Agreement Establishing the Caribbean Court of Justice. The Government is composed of two chambers: the elected 17 member House of Representatives, led by the Prime Minister; and the 17 member Senate. Eleven of the Senate members are appointed by the Governor General under the guidance of the Prime Minister, four members are appointed under the direction of the Leader of the Opposition and two by the Governor General. General elections are mandated every five years and can be called earlier. With good reason many wealthy individuals, important personalities and international business people will benefit greatly from opting for a second citizenship and by doing so secure an excellent long term investment for the future along with the freedom, security and flexibility that comes with having a second home. There are three options for the Citizenship by Investment Program available to clients, namely investment through the National Development Fund, Real Estate or a Business Investment. Applicants will be required to confirm one of the above investment options. Thereafter it is required as part of the regulatory process to conduct an initial inquiry on each applicant. Following this, a more comprehensive government application form is completed and supporting documents obtained to submit to the approving body, Citizen by Investment Unit (CIU) for processing. On submission of the fully completed application form, with all supporting documentation to the CIU, the applicant is required to pay the full government Due Diligence fees along with 10% of the government Processing fees which are non-refundable. Within 90 days of the submission of an application, the CIU will notify the Agent in writing on behalf of the applicant that the application has been approved, denied or delayed for whatever reason. Within 30 days of approval notification, the balance of the Government Processing fees and Investment Contribution should be paid to the CIU. For the Real Estate option, applicants will have 30 days from approval notification to complete full payment to vendor along with all required disbursements to enable Title to be registered in the applicant’s name. The passport is issued for a period of 5 years. Approved applicants are required to spend a minimum of 35 days, over a 5 year period in Antigua and Barbuda in order for a passport to be renewed. Tourism dominates the national economy and is the most important source of foreign exchange and foreign direct investment in Antigua & Barbuda. It underpins the country’s economic growth accounting for two thirds of GDP, 40 percent of investment and more than half of the island’s employment opportunities. 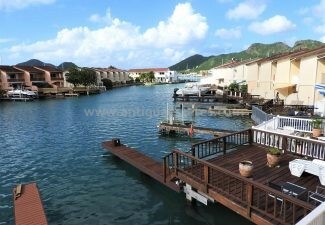 Antigua & Barbuda is a small, politically stable country. It is a constitutional monarchy with the British monarch as head of state. It has a strong democratic system of government based on the Westminster system with legislative, executive and judicial branches. Elections are held every five years. Antigua has direct flights from London, New York, Miami, Atlanta, San Juan, Montreal, Toronto and Frankfurt, and Milan. With new routes planned following the opening of the new state of the art VC Bird International Airport with the capability of handling 1.5 million passengers continued growth is expected. In addition to air passengers, Antigua has a very active seaport. Investment in the Future in an ever changing political and economic environment, the acquisition of a second citizenship for an individual and their family members could be considered an investment for future generations. 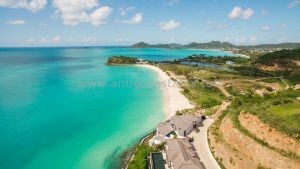 Lifestyle – New citizens can spend as much time in Antigua & Barbuda as the wish. The nation offers a stress-free lifestyle in one of the most comfortable climates in the world. 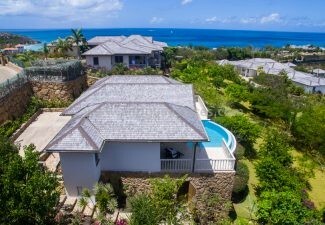 The Antigua & Barbuda Program is one of the most desirable for its flexibility and value but also because this independent British Commonwealth nation is one of the Caribbean region’s true gems for its beauty and friendly population. The government welcomes the opportunity for new investors and citizens to come to Antigua & Barbuda under the new Citizenship Act 2013. The process of acquiring citizenship in Antigua & Barbuda via a property purchase is relatively straightforward though the government Citizenship Investment Unit (CIU) is extremely stringent when reviewing applications and performing due diligence hence it is important to have qualified and expert legal representation throughout the process. Here at Antigua Estates we work with you and our Licensed Agent to ensure your CIP application is processed in a timely and professional manner. PLEASE NOTE: All applications must be submitted to the Antigua & Barbuda Citizenship Investment Unit by a Licensed Agent.